I began to climb up Catbells and at about 1000ft I came out of the clouds and into brilliant sunshine. It was a classic case of temperature inversion. There was another photographer up there with his tired dog and I asked him if I could just take his photograph. 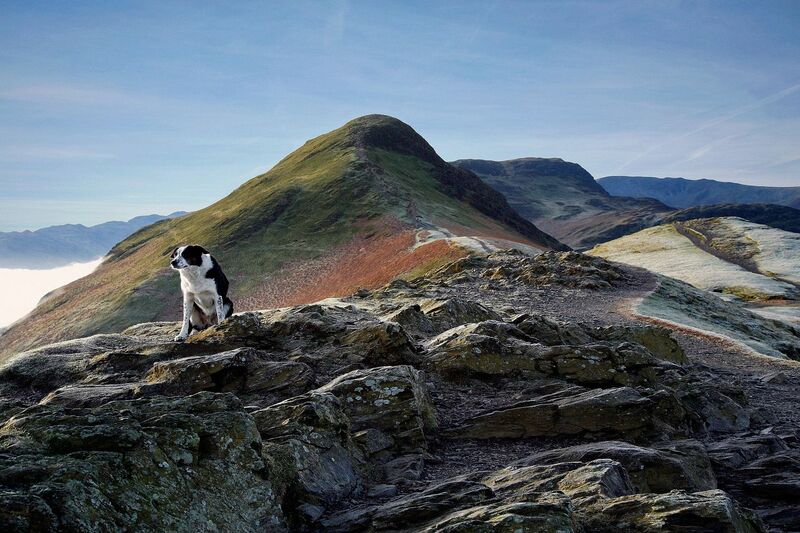 His face just reminded me of the saying - It's a dogs life on the footpath to Catbells. Very appropriate I thought ! !